Sh2-82 (also designated Bernes 17, LBN 129, LBN 053.54+00.04, DG 159, Magakian 797) is a combination of emission and reflection nebula in the constellation Sagitta. Sh2-82 is ionized by the main sequence B0.5V star HD 231616. According to the most reliable estimates its distance is about 1100 parsecs (3590 light years), thus it appears to be near the Vul OB4 association. Within the cloud some of infrared radiation sources have been identified, including one, cataloged as IRAS 19282 + 1814, which coincides with the methanol masers, generated from a protostar deeply shrouded in gas. From the cloud also come some emissions in radio waves originating from small diameter sources, a sign that inside are taking place processes of star formation. Sh2-82 has been cataloged with the number 843 in the catalog of star-forming regions published by Avedisova in 2002. 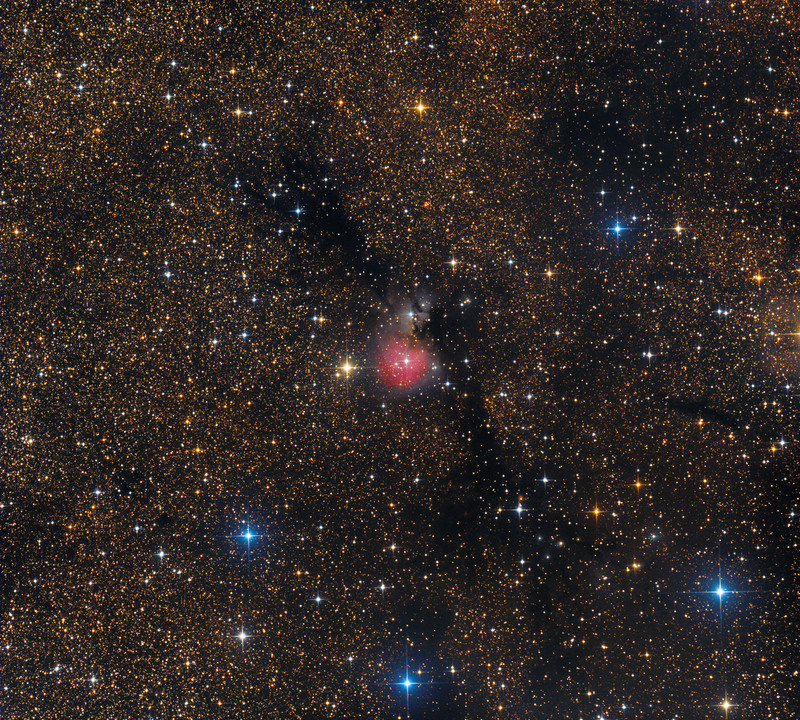 Due to similarities with the Cocoon and Trifid nebulae, Sh2-82 is called sometimes "Little Cocoon" or "Little Trifid"